We want you to have access to great EiE PD wherever you teach. That’s why we’re building a national network of professional development providers. 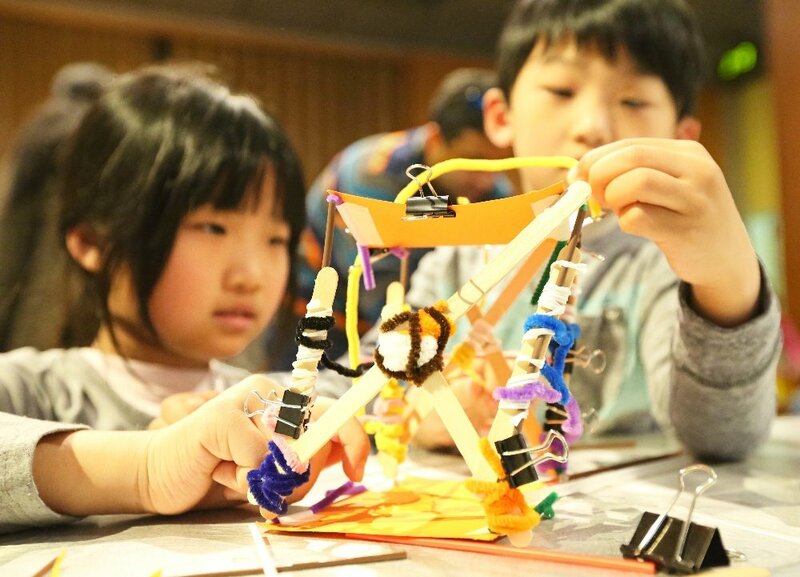 This month, we’re pleased to welcome our newest professional development collaborator: the Center for Innovation in Engineering and Science Education (CIESE) at the Stevens Institute of Technology in Hoboken, New Jersey. Stevens is a private research university known for its undergraduate engineering programs, for the expansive views of New York City from its riverfront campus, and for being the first college in the country to require students to own a computer. CIESE was initially founded in 1988 to help teachers integrate computers into K-12 mathematics instruction. 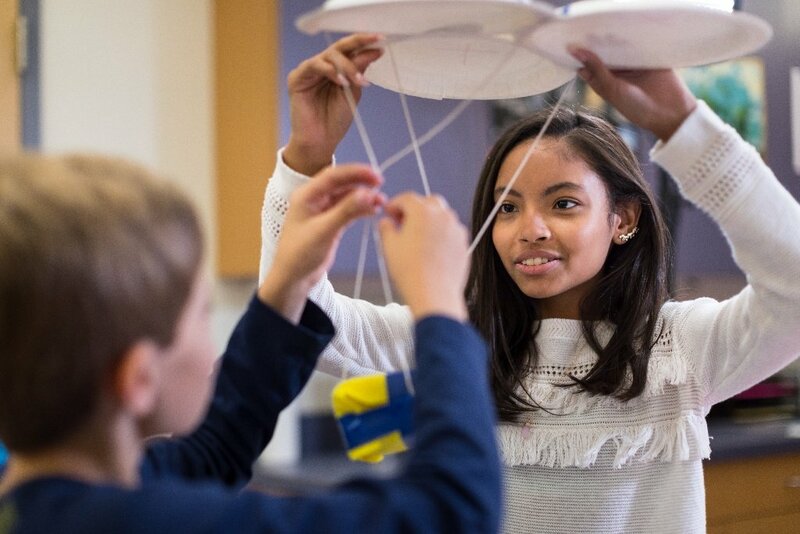 The center’s mission has expanded over the years, and it now includes professional development plus curriculum development and educational research to strengthen STEM literacy for K-12 and higher education. Though the designation “official EiE professional collaborator” is new, CIESE and EiE go back quite a ways! 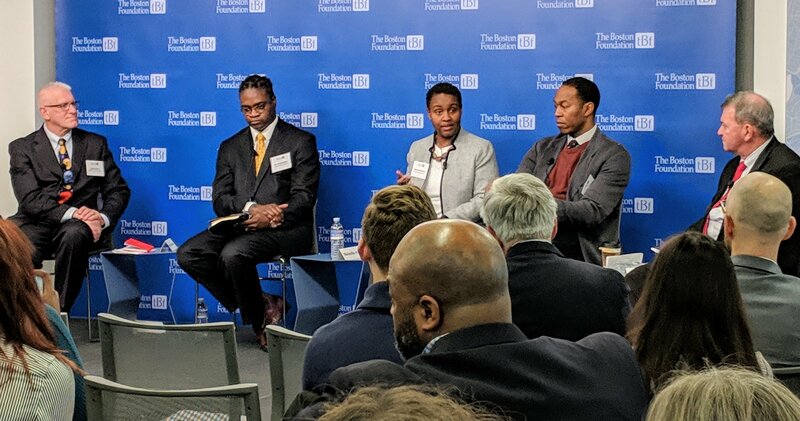 “We were delivering EiE PD before there was such a thing as a formal program for EiE PD collaborators,” says Mercedes McKay, the center’s deputy director. In 2005, when CIESE launched a statewide initiative to integrate engineering into New Jersey schools, they decided to use some of the very first EiE curriculum units as part of the project. PISA is just one of several CIESE research efforts with EiE as a component. 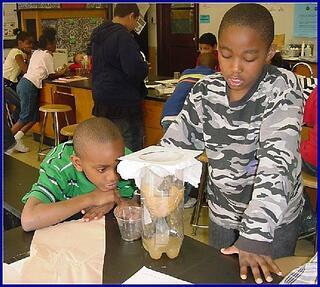 Several other CIESE projects have included EiE (and EiE PD) as a component, including the Partnership to Improve Student Achievement (PISA), a Math Science Partnership (MSP) sponsored by the New Jersey Department of Education which brought high-quality professional development to elementary teachers in six major New Jersey cities, and the Curriculum Topic Study to Enhance Achievement in Mathematics in Science (C-TEAMS), another state MSP providing intensive professional development to cross-grade teams of teachers. “In our trainings, we saw some teachers get really excited about EiE,” McKay notes. “Some of them went on to work with EiE, pilot testing some of the later units.” When EiE launched its Classroom Video series, two PISA teachers from Jersey City, Marlene Aviles and Marilyn Ortiz, and their students were featured in some of the very first videos produced. And some New Jersey schools and districts where teachers were involved in CIESE research projects went on to implement EiE more widely. 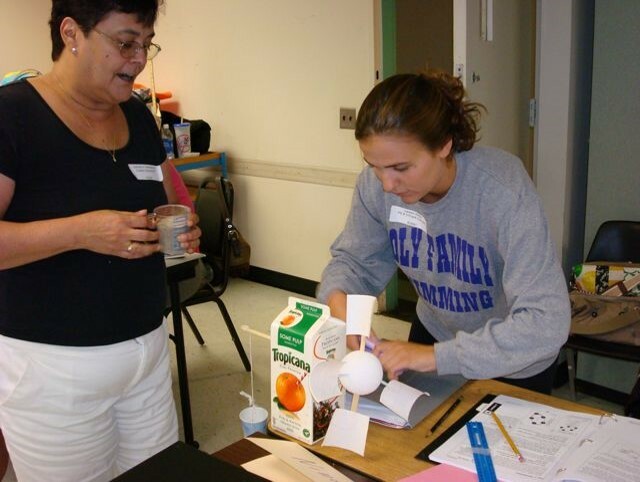 New Jersey teachers designing windmills at a 2008 CIESE workshop. Outside of these research projects, CIESE has been consistently providing EiE workshops on request to schools and districts through the years, reaching hundreds of teachers around the state. In 2015 CIESE conducted about 10 EiE workshops for five separate districts and added a roster of on-site workshops that any teacher could attend. McKay says that CIESE PD providers are prepared to facilitate workshops for any one of the 20 EiE units. 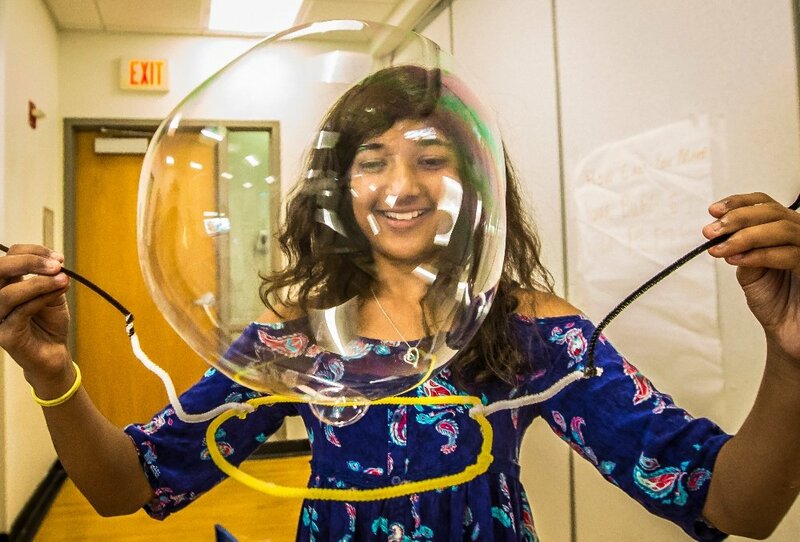 “We recently did a training for the New York City public schools, for one of their summer programs,” she says. “Now we’re about to release our schedule of EiE workshops for the coming school year.” New Jersey teachers, watch for it!